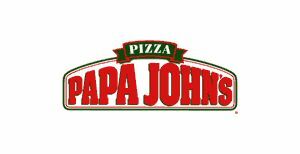 Freedom Rockz: Get 50% Off Any Pizza @ Papa John's! 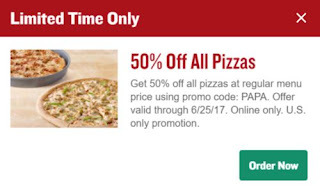 Get 50% Off Any Pizza @ Papa John's! Get 50% off all Pizzas at regular price when you use code, "PAPA" when you order online. This offer is only valid through June 25th, 2017. Click the link below to get the details.